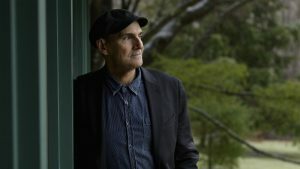 Home » Articles » Music » James Taylor and Bonnie Raitt Join Forces to Bring Cincinnati One Epic Show! Legendary singer/songwriter James Taylor and his All-Star Band with special guest Rock and Roll Hall of Famer Bonnie Raitt and her band are coming to US Bank Arena (100 Broadway St. Cincinnati) this Tuesday Feb 5. Doors open at 6 p.m. and the show begins at 7:30 p.m.
Tickets prices are $70 and $104 and may be purchased online at https://www1.ticketmaster.com/james-taylor-cincinnati-ohio-02-05-2019/event/16005527BE9378C6.